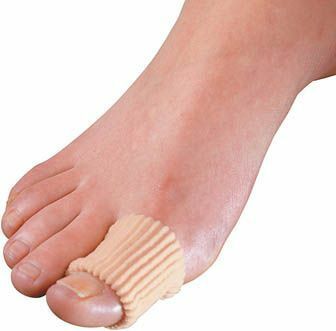 Gel Toe Pads Protects Against Pressure On Blisters. A soft elasticated sleeve with a disc of gel containing mineral oil to soften and lubricate skin. Protects against pressure and friction on blisters, corns, hammertoes, calluses, etc. Hypo-allergenic and washable. Available in packs of three and in three sizes. Just what I've been looking for but unfortunately they were far too small. Really disappointed.